Teacher Appreciation Day is coming up – are you ready? This granola has become a favorite with some of the teachers at my kids’ school. We thought we’d dress it up a bit this year by adding a gift card to a book store and a spoon. Teachers just need to add milk and then enjoy a morning reading and eating breakfast in bed! 1. Heat oven to 300 degrees. Line two cookies sheets with foil. 2. 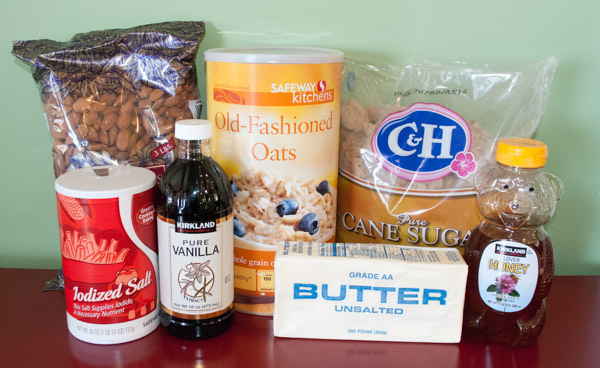 In large bowl, combine honey, brown sugar, butter, vanilla and salt. 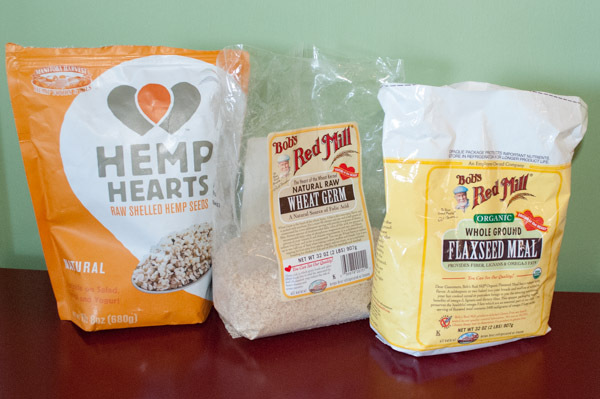 In another bowl, add oats, wheat germ, flax seed, hemp seed and nuts. Stir mixture until it’s evenly blended. 3. 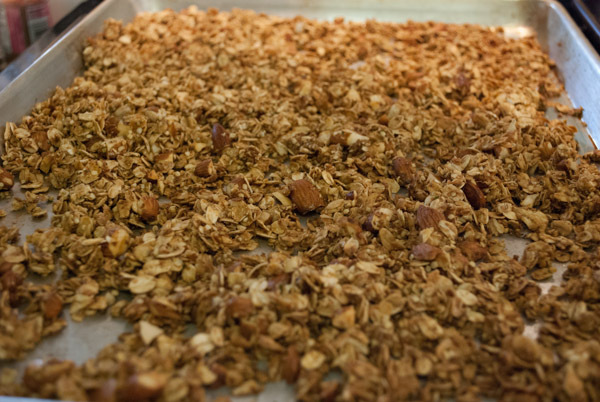 Spread granola onto prepared sheets and bake for 15 min. Stir to keep it from burning. Bake for another 15 min. then turn oven off. Bake for another 5 min and remove from oven. Allow it to cool completely on the pans, then transfer to airtight container. Can be stored for up to 4 weeks. 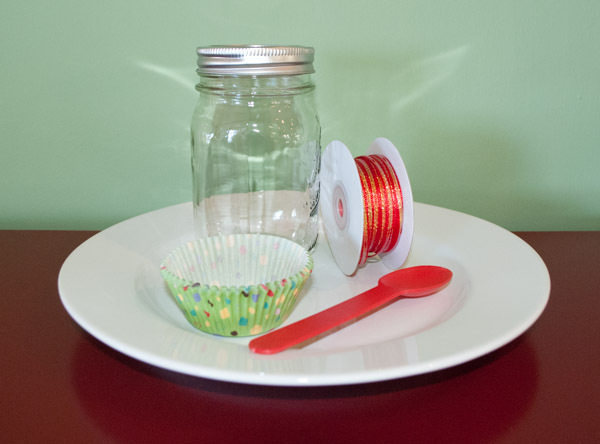 Top a mason jar with a cupcake liner. 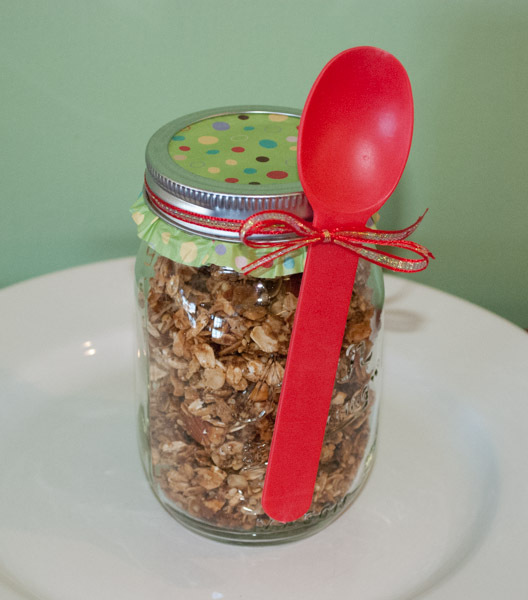 Add a colorful spoon with some ribbon, a gift card, and the wish that your teachers begin their summer with a leisurely morning reading in bed. 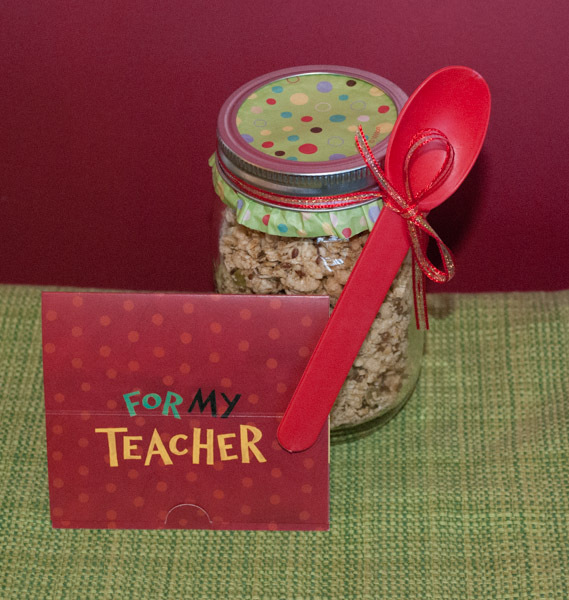 This entry was posted on May 7, 2013 by mdaucello in Crafts, Recipes, Teacher Appreciation and tagged appreciation, book, gift, gift card, granola, mason jar, read, summer, teacher, teacher appreciation.